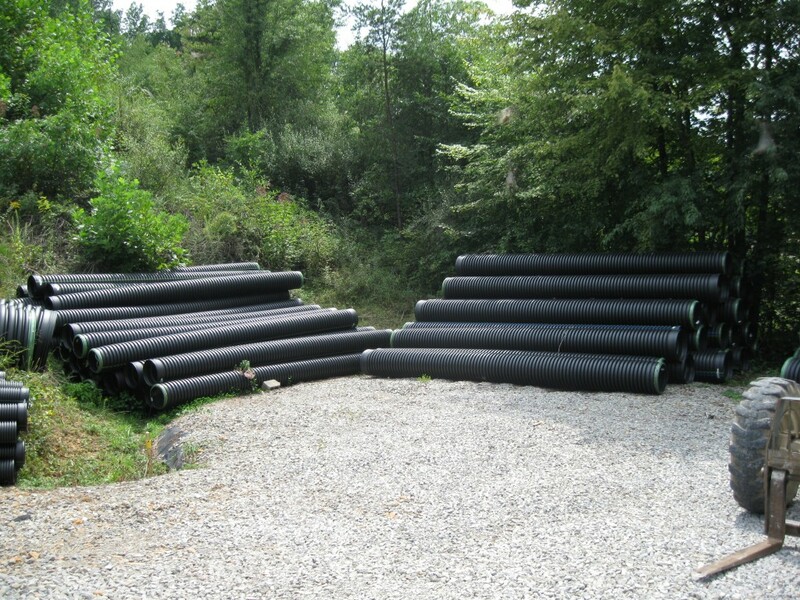 Hancor is the leading manufacture of High Density Poly Ethylene (HDPE) drain culvert pipe, storm water drainage systems and septic distribution systems. Hancor is the only manufacture that produces a 60 inch culvert pipe. Visit Hancor's web site at www.hancor.com for more information. Hancor Culvert meets all Department of Highways Codes and Standards. 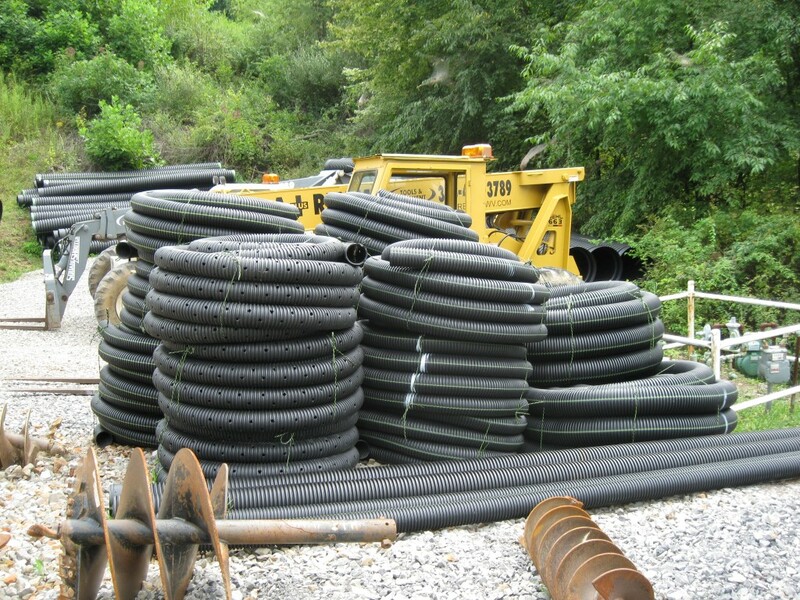 A+ Equipment Rental LLC stocks a large inventory of pipe and culvert, from 4" and 6" coil drain pipe in solid and perforated. 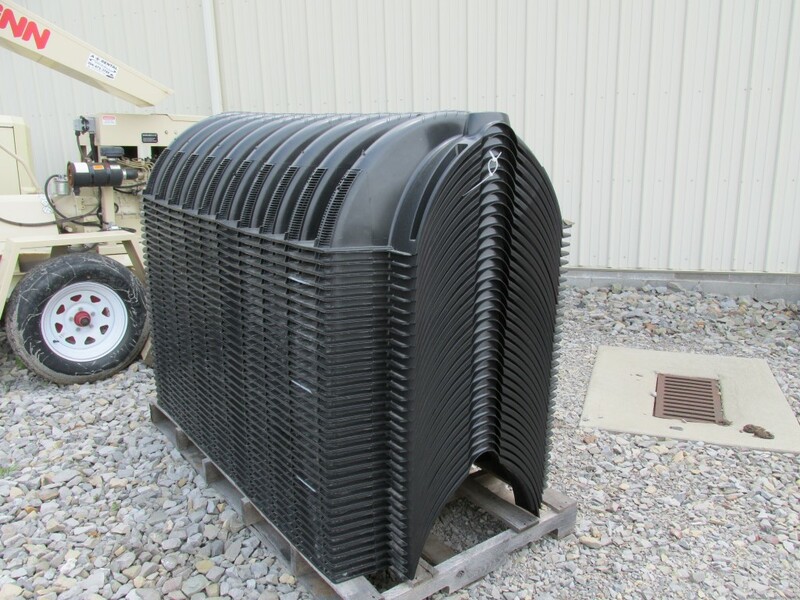 We also stock culvert with the smooth bore inside from 4", 6", 8" up to 36" and can get up to 60" in a matter of days. This culvert is state and federal highway approved with a 50 to 75 year life expectancy. We also offer job discounts for multiple joints of culvert. 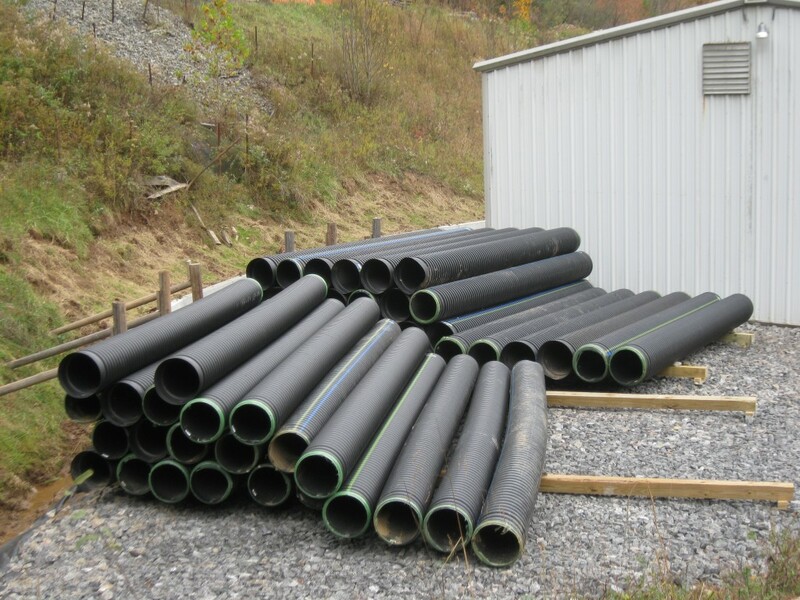 Hancor HDPE pipe will outlast steel culvert based on the fact that it will never rust or deteriorate in any manner like steel or even galvanized culvert. The interior walls of steel culvert are ribbed causing flow restrictions and potential catch hazards. Unlike the steel culvert, Hancor interior culvert walls are not ribbed to allow for faster flow and creates less opportunity for debris to catch and cause obstructions. The outer walls are ribbed to give maximum strength to the culvert pipe in conjunction with the smooth inner wall. Hancor dirt sealed ends gives a far better seal design over steel culvert couplers. Hancor offers a water tight seal end but only recommends it in special applications. 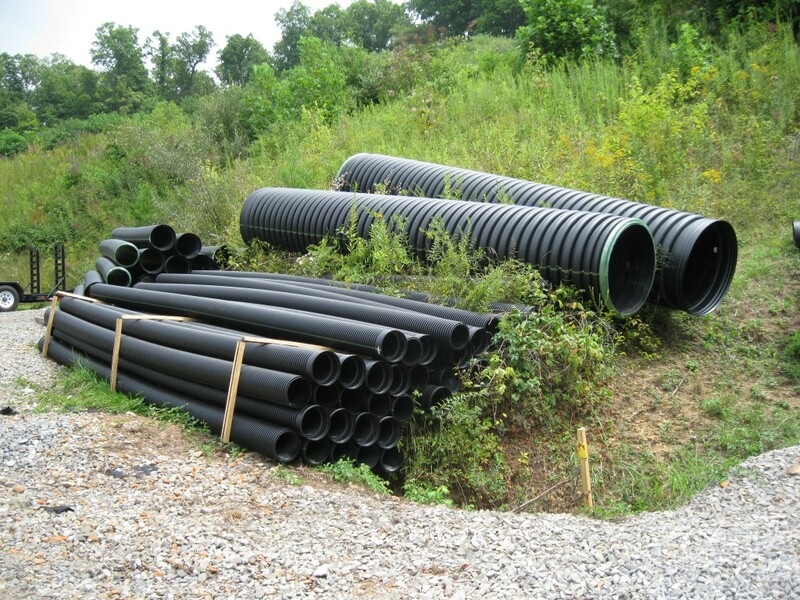 Generally, HDPE culvert can be purchased for less money compared to the inflated cost of the steel culvert industry in today's market to begin with. 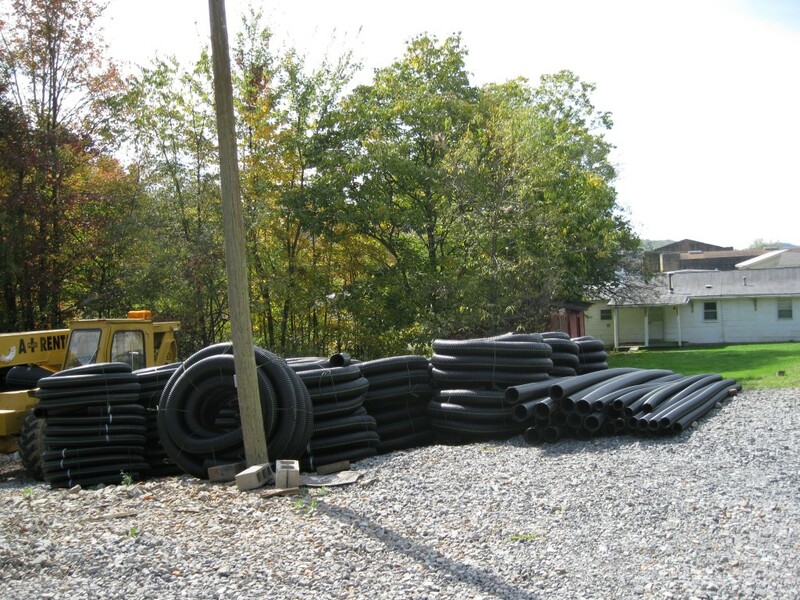 However, when you also consider the added savings because HDPE culvert is lighter to handle so you will not have the added cost of heavier lift equipment required to install the culvert like you do with steel or concrete culvert, it will result in added savings again. Unlike HDPE culvert, every time you bump or drop any part of the mouth of steel culvert, you will dent it or alter the way it will couple up to another piece of culvert. This will also have an affect on the way it will transfer or take on water. This is not the case with HDPE culvert; it is very resilient. 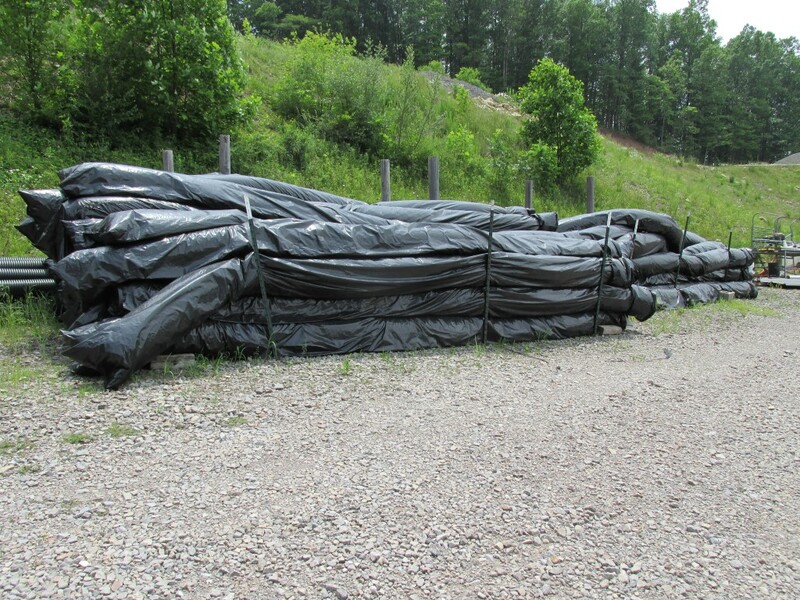 HDPE culvert will take a great amount of impact and will not dent or bend like steel culvert. When Hancor delivers culvert, they open big side doors on a trailor and roll the load off at one time. No cranes or big fork lifts required. Another benefit of Hancor Culvert over concrete culvert is that not only does it weigh less as previously discussed, but it also comes in twenty foot sections. Concrete culvert comes in various, far shorter sections. When you have more joints, you have more opportunity for leaking at the joints, and a lot more handling to do during installation with shorter sections of concrete culvert. And being that concrete culvert is far heavier and more fragile to handle than HDPE culvert, it is far less economical to use old-fashioned concrete culvert. Hancor Culvert couples together better than concrete with a tighter coupling. 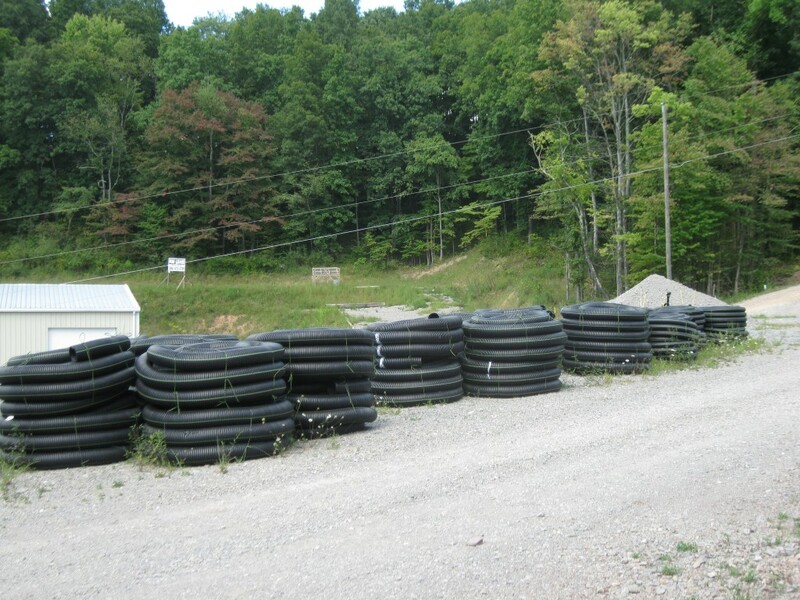 HDPE also seals better than concrete, is much less expensive to purchase, and less expensive to truck to your job sight than concrete culvert. HDPE culvert is also much lighter. All of this again means added savings to our customers. The process for handling concrete culvert is very intensive and expensive. It is almost like handling eggs from the delivery and unloading process at the job sight, to the handling and installation process and backfilling. If you allow concrete culvert to hit together at any point, you risk a very high potential of damaging the concrete culvert. When concrete culvert is broken, it is always a costly mistake. This is not the case with HDPE culvert because it is very resilient. HDPE culvert will take a great amount of impact and not dent or bend like steel culvert, nor will it crack or bust like concrete culvert. For more information on Hancor culverts, please visit their website at www.hancor.com.